Dark spots can be an absolute pain. Not only do they make your skin look aged and unhealthy, but they’re also almost impossible to cover up—even with makeup! But what if you didn’t have to spend your time, money, and efforts trying to cover them up? Wouldn’t it be a lot easier just to get rid of them once and for all? 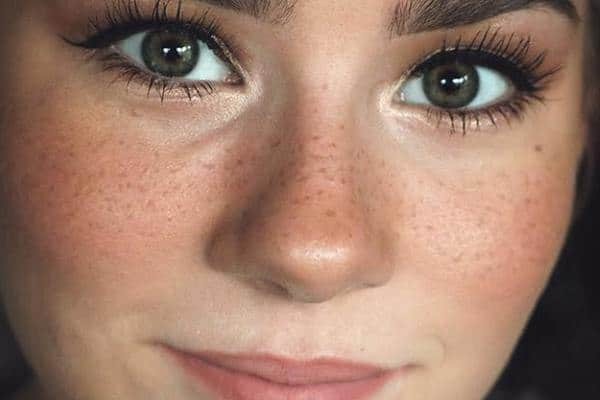 With this list of the top 10 dark spots creams to get a clear skin, you’ll be well on your way to having clear skin in no time. Kama Ayurveda’s Rejuvenating & Brightening Ayurvedic Night Cream is a unique blend of precious ingredients like Saffron which help brighten skin while also reducing dark circles and pigmentation. It also contains antiseptic ingredients in its ayurvedic blend which help prevent the aging process. Brightens the skin and evens out skin tone by effectively dealing with dark spots and pigmentation. The cream has a smooth texture and is quickly absorbed by the skin. Does not break out sensitive or oily skin. Value for money as a little bit of product goes a long way. Not a good moisturizer for dry skin. Does not get rid of stubborn acne marks easily. Oriflame’s Even Out Night Cream is easily absorbed into the skin, unlike other heavy night creams. It gets rid of dark spots and deeply nourishes the skin. Its antioxidant technology prevents skin damage and helps neutralize the adverse effects that pollution and sun exposure can have on your skin. Keeps your skin feeling fresh and looking radiant. Evens out your skin tone. You will not see immediate results. The Body Shop’s Pure Healthy Brightening Day Cream helps even out your skin tone, making your skin appear brighter and feel healthier within four weeks of use. This product instantly smoothes your skin’s texture and plumps it with moisture. This light and nourishing cream significantly reduces the size and intensity of dark spots while providing your skin with hydration. Easily absorbed by the skin because of its light texture. Richfeel’s anti-blemish cream helps get rid of blemishes while restoring glow. It helps fade scars, acne marks, and pigmentation while giving you radiant skin that glows with health. This product also helps get rid of dark circles. Makes a difference from the first use. Dark spots and pigmentation are a result of the excess production of melanin in your skin. Himalaya’s Bleminor cream helps calm the over-zealous melanocytes, getting rid of dark spots. It also helps boost skin health by catering to its well-being. This product’s antioxidant activity helps counter skin damage. Budget-friendly and value for money as a little goes a long way. Light formula that spreads well and is easily absorbed by the skin. Fades blemishes but can take a while to show noticeable results. Fair & Lovely’s Anti Marks Fairness Cream has been specially formulated for skin with spots and marks. The product’s breakthrough Vita-Aloe complex not only fades away existing marks and spots, but it also prevents the formation of new ones. This product also offers sun protection and promises visible results within 4 weeks of use. Pleasant floral fragrance that is not too overpowering. Spreads easily despite its thick consistency. Leaves a white cast on dark complexions. Not suitable for oily or combination skin. Biotique’s Bio Winter Green Spot Correcting Anti-Acne Cream not only helps prevent acne, but it also fades scars, pigmentation, and spots. The dark spot remover cream has a soothing effect that helps shrink pores and maintains skin health. It also helps relieve the pain and redness from outbreaks and helps fight and prevent the problem. Helps fade marks to a certain extent. Reduces the redness and pain from acne. Does not fade scars completely. Yves Rocher’s Exceptional Youth Dark Spot Corrector helps illuminate the skin and reduce the appearance of dark spots. It helps you achieve an even complexion with its licorice content. It has effective anti-aging properties that will leave your skin feeling young and healthy. This product has been tested under dermatological supervision and is free of parabens, colorants, and mineral oil. Olay’s Natural White Night Nourishing Repair Cream helps you achieve an even skin tone by inhibiting the transfer of melanin to your skin’s surface. It contains a triple vitamin system that helps nourish your skin, leaving it with a healthy glow. This product reduces the appearance of dark spots while also improving skin cell renewal so that you have radiant looking skin. The cream spreads easily despite its thick consistency. Fades dark spots and acne scars over time. Leaves your skin feeling soft and healthy in the morning. Has a pleasant floral fragrance. Forest Essentials’ Kumkumadi Teenage Night Cream is a special ayurvedic formulation that has been specially designed to help you achieve an even skin tone. It contains Kumkumadikeram and Manikya Bhasma which are ayurvedic ingredients that help lighten dark spots and clarify your skin to give you an even skin tone. It has moisturizing ingredients like almond oil, ghee, and shea butter that seep deep into your skin and hydrate it from within. The product comes with a wooden spoon to keep you from dipping your fingers into the tub. Moisturizes the skin and keeps it hydrated for a long time. Adds a healthy glow to the skin while giving it an even complexion. Value for money as this product truly works and a little goes a long way. I know how frustrating dealing with uneven skin can get. But rest assured, with this list of best creams for dark spots you can kiss your entire spotty woes goodbye.